Helen and I went on a run on the Saturday of the Easter weekend to Hartside. We left home at around 10:30am and headed on our usual main roads to Clitheroe. Due to traffic in Simonstone we turned off the main road and headed through Sabden and over Pendle Hill to the A59. We then cut across the A59 and headed through Clitheroe and out the other side towards Waddington on the B6478. We then followed the B6478 to Slaidburn where we stopped briefly to use the toilets. We left Slaidburn on the B6478 and then soon turned onto minor roads and headed passed Stocks Reservoir and through Gisburn Forest to the A65 just East of Ingleton. Here we joined the A65 and followed it to Devil’s Bridge at Kirkby Lonsdale. We didn’t stop and instead joined the A683 and headed up towards Sedbergh, we turned off just before Sedbergh onto the B6257. We followed this road over the A684 at which point it turns into a narrow single track road. 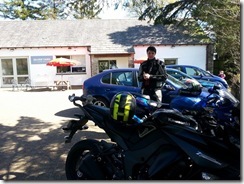 We then followed it until we joined the A685 and took that to Tebay. We stopped at the local services in Tebay for fuel and then headed over to Orton on the B6260. We decided to stop in Orton for lunch at the newly opened Silver Yard Cafe. 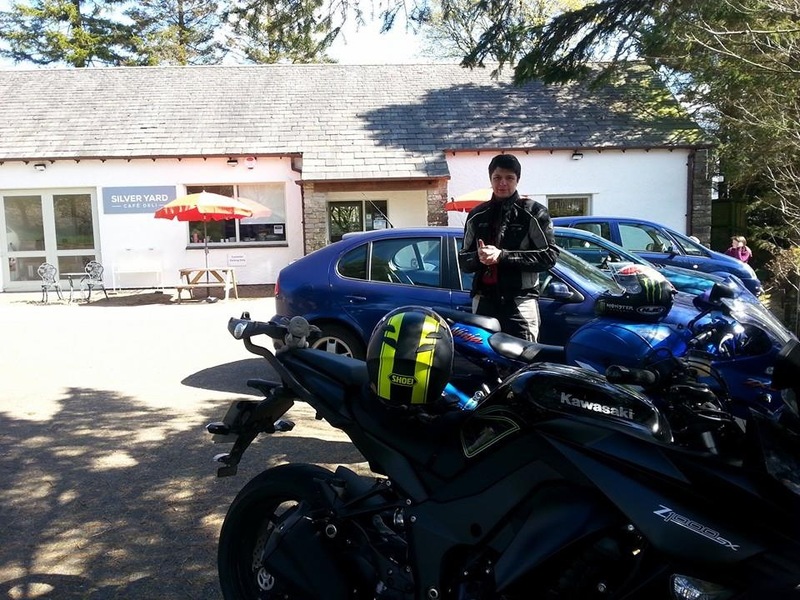 It is a nice and quiet cafe set in a lovely rural location. We would definitely recommend it and will certainly use it again. From Orton we continued on the B6261 over Crosby Ravensworth Fell to the A6 at Shap. We then took the A6 all the way up to Penrith. After that we took the A686 towards Alston, after Melmerby we started the climb of Hartside. For once we got a lovely clear run up to the cafe at the top, the majority of the road has been resurfaced now so you don’t have to worry about any potholes or loose gravel. We didn’t stop at top as we have decided to boycott the cafe after previous poor service and blatantly lying to us about our missing order. So we continued down the otherside to Alston. We turned right in Alston and took the B6277 to Middleton-in-Teesdale. In Middleton we turned right onto the B6276 and headed into Brough. We then went on the A685 to Kirkby Stephen. 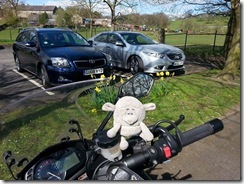 Kirkby Stephen was very busy and it was the only place that we had any real traffic problems of the day. We eventually got through and then turned left onto the B6259. We then went passed Pendragon Castle and over Mallerstang Common to the junction with the A684 at the Moorcock Inn. We turned left here and took the A684 into Hawes, we didn’t stop in Hawes and immediately turned right onto the B6255 and headed towards the Ribblehead Viaduct. At Ribblehead we turned left to Settle on the B6479, we stopped in Settle for an ice cream from the Ye Olde Naked Man Café. After the ice cream we went on our usual route back home via Rathmell and Sawley.